Last semester our class partnered with Ruth Meere, a local Colorado artist, to design and build a portable housing structure of 18 mailboxes. 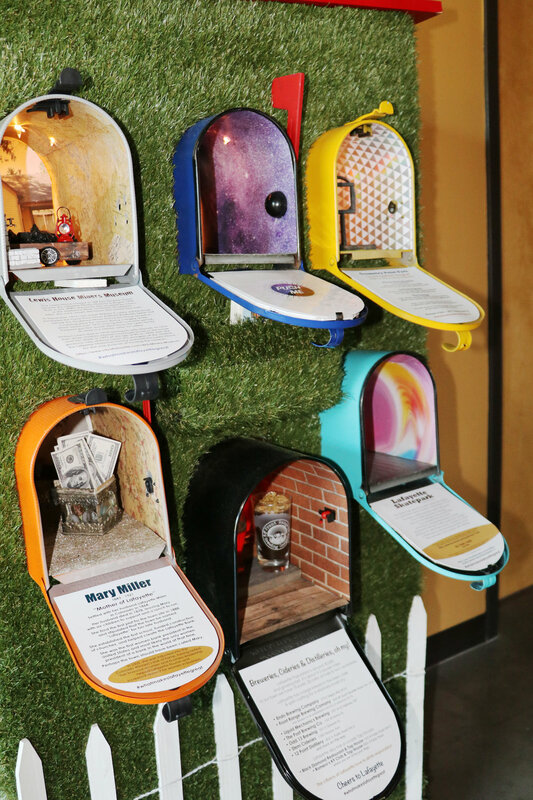 Inside each mailbox, Meere sculpted mix-media dioramas that display stories of iconic and historical Lafayette landmarks, notable community members, and popular civic happenings. By working in cooperation with the City of Lafayette, the end result has been a unique installation acting as a love letter to Lafayette, and has been well received by the community. In addition to the mailbox housing structure, I worked with Meere and the City to design and produce a vintage-inspired “Greetings for Lafayette” style postcard. The postcard further plays with the mailbox concept and reflects the contents of the mailbox dioramas in the letter vignettes of the design. The postcards accompany the mailbox installation and are offered as a take-away to further promote the City’s #whatmakeslafayettegreat social media campaign. Postcard graphic design created by Lyndie Raymond in collaboration with Ruth Meere and the City of Lafayette, showcasing iconic features, landmarks, and events of Lafayette, Colorado. 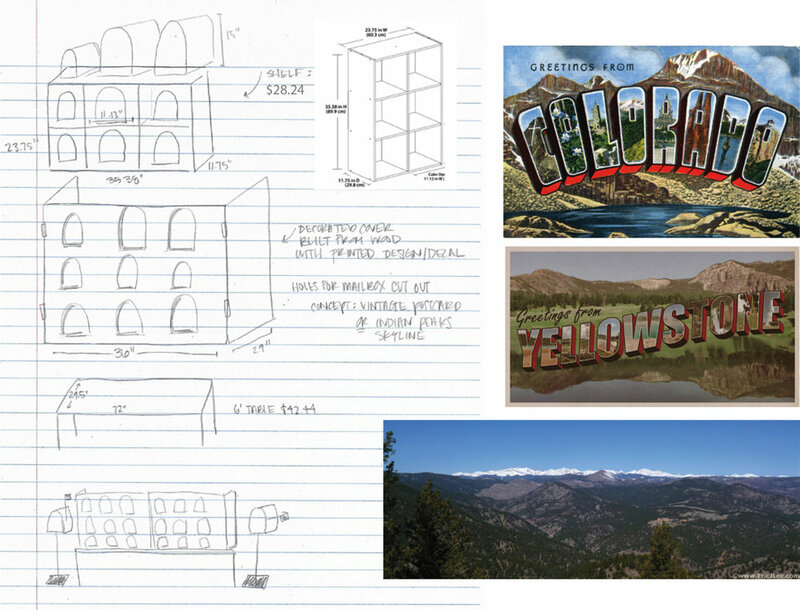 Excerpt from an initial concept sketch of the mailbox structure from which the final design was iterated.